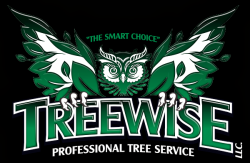 TreeWise, LLC proudly provides professional tree care and I.S.A. Certified Arborist services for commercial and residential clients in Washington and Oregon. With over 20 years of experience, education and training in all facets of tree care – TreeWise, LLC is the smart choice for your trees! We provide professional tree care services backed by science. Our team is committed to continuing education and training for every employee to provide quality tree care and highly skilled craftsmanship. All tree trimming, tree pruning and tree removals are performed according to ANSI A300 pruning methods. Safety is our number one priority and we follow ANSI z-133.1 safety standards, at all times.